My daughter is at the coolest Canada Day event imaginable. Envy blew a gasket when she texted this image a few hours ago. 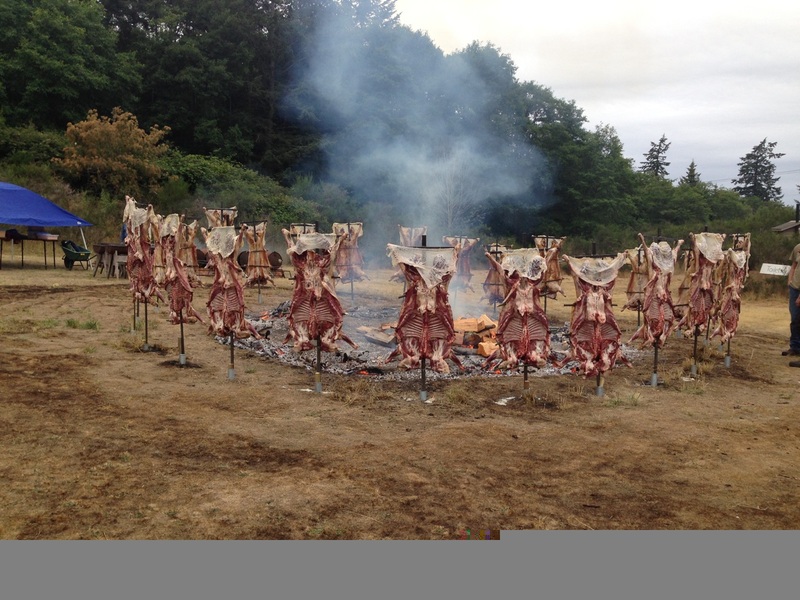 Since 1950, 31 square kilometer Saturna Island (currently 350 permanent residents )has hosted a community lamb roast on July 1. Next Canada Day we plan to ferry, water taxi or float plane ourselves to Saturna Island for lamb roasted on open fires.Accommodation is scarce, we’ll likely pitch a tent next to hers in a clearing behind her friend’s parents house. Does it get more Canadian than that? Happy Canada Day.